The University of Miami School of Law prepares 21st century lawyers to practice in an increasingly complex and connected world. Partnered with traditional legal curriculum, interdisciplinary education and innovative experiential learning, law students can explore a world of opportunity at Miami Law. Educating the next generation of capable and honorable interdisciplinary problem-solvers is possible because of the generous investment alumni and friends make in Miami Law. With the continued generosity of Miami Law supporters, the law school can ensure that every challenge is met and the distinction for which the law school is known will be maintained. WE INVITE YOU TO BE A PARTNER. What is the Law Firm Challenge? The Law Firm Giving Challenge is a competition that seeks to strengthen the connection between the School of Law and its alumni. We encourage a spirit of friendly competition between law firms with multiple Miami Law alumni to reach 100% participation giving to their alma mater. At the end of the competition, the firm(s) that reach 100% participation and raise the most funds will be recognized at a special ceremony during one of our Alumni Events and receive a winning trophy. The winning firms will have the right to display the trophies for a year at their offices and will be recognized on the alumni website, social media and law alumni publications. You can help the Young Alumni Committee support scholarships for law students by purchasing and personalizing an engraved brick. Personalized engraved bricks cost only $500, with all proceeds benefiting the Young Alumni Committee Scholarship Fund. You can purchase a gift for yourself, honor another person or mark a personal milestone. 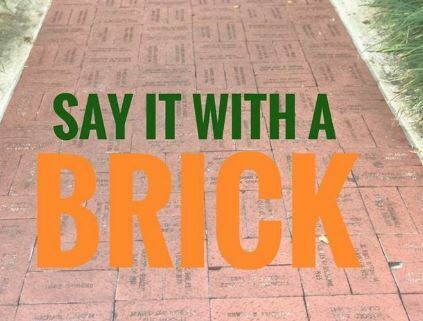 Click here to order online and personalize your brick. Gifts to Miami Law’s Annual Fund help to meet the discretionary needs of the law school. The Annual Fund helps support student scholarships, curricular initiatives, faculty fellowships, clinical programs, and the overall quality of student life. No gift is too small, and every gift counts. To mail your gift, download this form to include with your check, money order or credit card payment. To make a gift by telephone, call 1-866-99UMLAW or 305-284-3470, or fax to 305-284-3968. To designate your gift to a scholarship or program, please specify when making your gift. Under designation, select the area you would like to support. If the area is not listed, choose other and note your area of preference in the comment field. There are a variety of sponsorship opportunities throughout the year. Firms, companies or individuals who sponsor an event receive institutional and event recognition and the opportunity for meaningful interaction with other alumni and students, thus raising your profile and deepening your engagement with the Miami Law community. If you would like to sponsor a School of Law or Law Alumni Association event, complete the sponsorship form. Class Reunions offer all alumni an opportunity to celebrate the common bond they share with each other and Miami Law. If you are celebrating a Reunion year, please consider making a gift to the Annual Fund in support of student scholarships, curricular initiatives, faculty fellowships, clinical programs, and the overall quality of student life. No gift is too small, and every gift counts towards your class giving percentage participation. Help us to ensure a bright future for the next generation of law students through your class gift. Make a Gift in Honor of Your Reunion TODAY! An endowment is a permanent fund supporting a purpose of your choosing. Depending on an individual passion or interest, the endowment, which provides funds in perpetuity, can be focused or wide-ranging. The principal of the gift is invested and grows over time, while quarterly distributions provide a steady, reliable source of income to the designated program. This ensures the gift will provide benefits year after year, generation after generation. Distributions from endowments transform lives at Miami Law each year. You can use almost any type of asset — cash, securities, real estate or other property. Bequests and other deferred gifts, including those that provide life income to you or another beneficiary, can also fund endowments. To create a new endowment with a name you choose, Miami Law has several options, starting at $100,000. You can support an existing endowment with a gift of any size. In these unique economic times, contributions from alumni are more important than ever. While you may find it difficult to give a monetary donation at this time, you can still continue to support the University of Miami School of Law through planned giving. Planned giving can help you balance your charitable interests with your personal financial goals while also helping you realize significant tax and other benefits for you, your heirs, and your estate. Through planned giving, you can make a gift you might have otherwise thought impossible. To learn how easy it is to leave a legacy, please contact: Cynthia Beamish, Executive Director, University of Miami Planned Giving Office, cbeamish@miami.edu or 305-284-4342. For more information about Estate/Planned Giving, please visit University of Miami Estate & Gift Planning website.